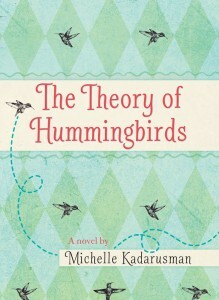 “…The Theory of Hummingbirds is a gentle, hopeful, and wholly innocent portrayal of a sixth-grade girl dealing with being different…. Alba uses several coping techniques to deal with her physical challenges. She is deeply invested in hummingbirds and sees them as a metaphor for her own life. ‘Hummingbirds don’t sit around moaning about their tiny feet and the fact that they can’t walk,’ she says. Alba calls her clubfoot Cleo, viewing it with compassion and kindness rather than resentment and self-pity. Support comes from her best friend Levi, who spends recess indoors with her because of his serious asthma. …In the mode of Jeanne Birdsall and Natalie Lloyd, Kadarusman makes some narrative choices that favour poeticism and poignancy over realism…. 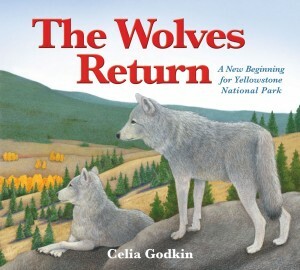 “Celia Godkin does a truly admirable job of presenting the [Yellowstone Park] project in terms children will understand. 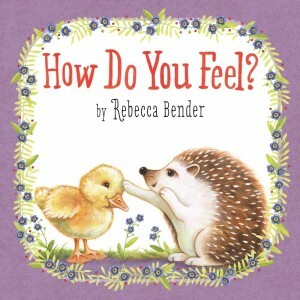 The language is clear, the telling is positive and brings awareness for the remarkable results…. Those changes are portrayed in detailed mixed media artwork. The double page spreads clearly show the park and its dramatic change – all through the introduction of the gray wolf. The settings beautifully display the grandeur of the park, and the interdependence of the species living there. Don’t miss having a close look at the endpapers. The illustrations there may result in further research for interested children. “In rhyming verse, Allenby describes just how hard it can be to wake a sleeping grumple and offers up a gentle song to soften a sometimes-tricky transition…. Manon Gauthier’s simple collage illustrations give this book a handmade feel. She has made charming use of crayon, pencil, paint and scissors. 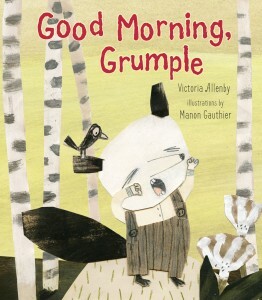 Gauthier has cast the two main characters—mother and child—as black-and-white foxes, and she has successfully (and most amusingly) captured Grumple’s resistance to waking up…. 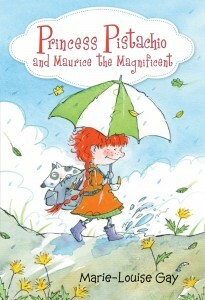 “This could be complicated subject matter for younger audiences to assimilate, but Celia Godkin, acclaimed environmental writer and illustrator for children, has presented the material persuasively in clear, direct language. From the initial release of the wolves, it is systematically shown how one change in the ecosystem leads to the next, leaving readers in awe of the fascinating chain of life and fragile balance of nature. 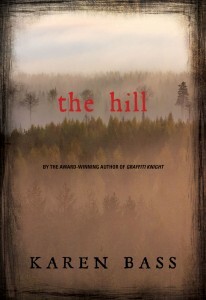 The text is enhanced by compelling, vivid illustrations. Thirteen double-page spreads reveal different habitats within the park, such as woodland and ponds, each populated by various new species of wildlife….There is also a two-page summary explaining the wolves’ extinction in the United States and a brief explanation of the project. 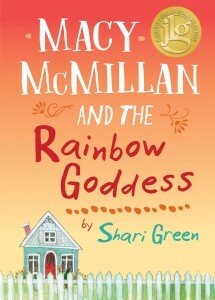 “I recently got my hands on a review copy of Macy McMillan and the Rainbow Goddess by Shari Green. I adored her last verse novel: Root Beer Candy and Other Miracles, so reading this one was a no-brainer. I fell for Macy instantly…. [I]t’s no secret I adore relationships between kids/teens and the elderly. I love to read and write them. I had plenty of them when I was a kid. My favorite church small group as an adult has included women ages 26 (that was me) to 80. People of different ages learn from one another, and I love love love love that.